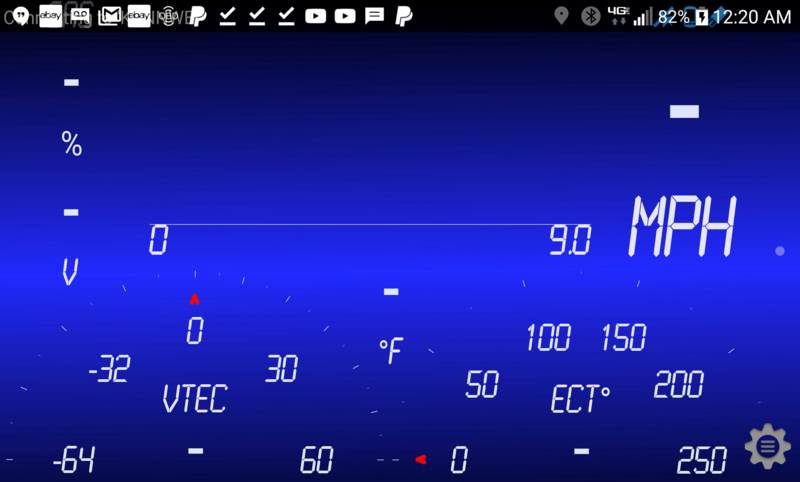 Using Torque Pro and three different OBD2 Bluetooth adapters, I have attempted to observe the engine coolant temp. There is no data. Has anyone else experienced this in the 2018 Fit EX or similar models? All the other OBD2 readable parameters seem to be correctly functioning. I would like to monitor the temp in real-time and not have to solely rely on temp indicator warning light on the dash display. Any suggestions? well I get a readout on my 2015 with an UltraGauge so it can be done but yeah it's weird that three different adapters didn't work ... maybe it's the app? I also have now tried an Autoray OBD2 device and get the same thing. All the other ECU readings are as expected. There are no indications that anything is wrong. Just the missing engine coolant temp data. I am beginning to wonder if this is no longer reported out by the ECU on the 2018 models. Sounds like the data is hidden within the canbus or some other data system on the 2018s, im sure the ecu reads coolant temp, just doesnt allow universal obd decoding, probably requires dealership obd2 with the cunbus sofware to view in real time. I run torque pro with an elm327 bluetooth, works great for me on my 2015 lx 6mt. Thanks to all for your feedback. I have inquiries into several manufacturers of dedicated diagnostic readers to see if they can support the 2018 Fit. I am not very hopeful, but if something useful comes up, I will provide an update. If Honda now wants to obfuscate the engine coolant temp so that it is not readable by individual owners, what basic engine parameters are next? 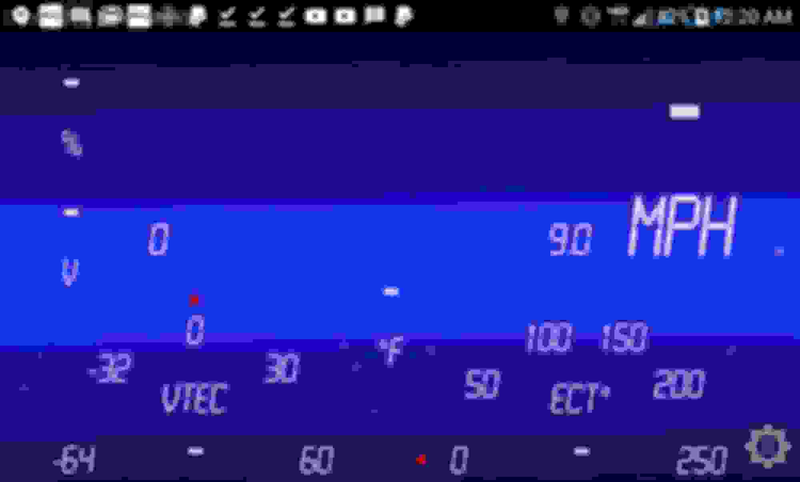 I got a hold of an Autel AL319 reader and it could read all the parameters including engine coolant temp. My Bluetooth adapters must be cheap knockoffs which work okay on my 2014 Ford Escape and 2001 Toyota Tundra, but not so good on the 2018 Fit. Go figure. glad to hear! Coolant temp is one of the most important things to keep an eye on, i enjoy being able to watch it through the torque app. I designed a theme that matches our cars gauge/screen system perfectly. That is the kind I thing I want to display as well. The AUTEL AL319 tool will give me the data when parked, however, I have ordered the BAFX 34t5 bluetooth adapter as a final attempt to get all the readouts I want displayed using Torque Pro on my smartphone. I hope the BAFX adapter does better than the other bluetooth adapters I have so far used. please keep updating as you figure this out. I have the same issue - no coolant temp.. A 2018 EX with the torque pro android and an older Vgate scan Bluetooth adapt or. The setup works on my 2017 Tacoma and worked on my previous Prius C. I have a scanguage on the Tacoma which I'll try later today or tomorrow and see if it gets the coolant temp. the scanguage doesn't show coolant temp on the 2018 fit, although it does on the 2017 Tacoma. Doesn't show the fresh air intake either..
just wrote this note to Scanguage. We'll see. "2018 Honda FIT EX automatic. I've been using your scanguage on my various vehicles since 2011. Had it updated for transmission temperatures for a 2017 Toyota Tacoma. Bought a new Honda Fit and a few of the gauges wont read. Coolant temp and fresh air intake temp. The gauge works flawlessly on the other vehicles I have or have had. Any thoughts? Thanks, Mark S."
The missing data seems to extend to a variety of temp related parameters. I just tried the BAFX 34t5 bluetooth adapter and got the same results as all the other adapters. It too cannot read the ECT and other temp parameters. My dedicated AUTEL AL319 reader sees everything just fine, but AUTEL appears to periodically update their firmware, so they may be aware of this issue. I am going to send a message to AUTEL and see what they say. Innova said their products would not provide ECT readout, but I have not tried one of them to know for sure. Namemark schofieldEmail[email protected]SubjectGeneral Information & InquiresMessage2018 Honda FIT EX automatic. I've been using your scanguage on my various vehicles since 2011. Had it updated for transmission temperatures for a 2017 Toyota Tacoma. Bought a new Honda Fit and a few of the gauges wont read. Coolant temp and fresh air intake temp. The gauge works flawlessly on the other vehicles I have or have had. Any thoughts? Thanks, Mark S.
Thanks for sharing the Scangauge response which answers the basic question of what Honda is doing with the temp data on the 2018s. This is very useful if I decide to get a Scangauge. The math that goes into the Torque PID equation field is rather tricky. I have Ultragauge EM Plus 1.4. It also does not show the Engine Coolant temp. I just bought the Lufi gauge and this gauge shows Engine Coolant temp. Failed emission and problem with obd2 reader. obd2 bluetooth dongle, which one works ? Eco Mode...The Little Light that Lies?? ?